The Session Initiation Protocol is an application layer protocol that is used to control the single-media or multimedia communication sessions between two or more endpoints on IP networks. The SIP Protocol was developed by the SIPCORE working group of the Internet Engineering Task Force, and it is defined in RFC 3261. SIP complements the other communication protocols like Real-Time Transport Protocol and Real Time Streaming Protocol. After knowing What SIP is, you should consider the installation of a SIP trunk because of its convenience. Tier 1 upstream providers are utilized by SIP.US to route the SIP traffic. This is done to enhance your calling experience. When you decide to avail our SIP Services, we provide you with an opportunity to create your SIP account and then decide which services you want. You can also review the real-time call data accounts. You are free to choose the bandwidth from a wide range of options such as Cable, DSL, T-1 or Metro Ethernet. When you are using automated dialing for telemarketing, SIP.US will aid you in avoiding dialer surcharges by connecting you with the upstream carriers who entertain such traffic. After you make a SIP investment with us, we will set up your SIP trunk and enable you to pay without any contracts. You can add channels or cancel them anytime you want to. 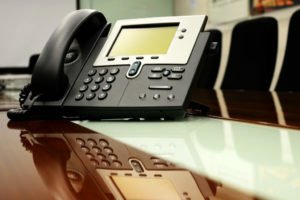 International toll fraud can become a huge problem when you have VoIP. However, we prevent fraudulent activity by the detection of frauds and the protection of your account through automated systems, even if the systems on your premises may be harmed. We make your call data record up to the previous year, easily available in the Control Panel. They can be downloaded as.CSV file. Having a VoIP SIP trunk entirely eliminates the need for PRI lines, which provides flexibility and reduces the cost considerably. With SIP.US, you receive the best services and only pay for your requirements.